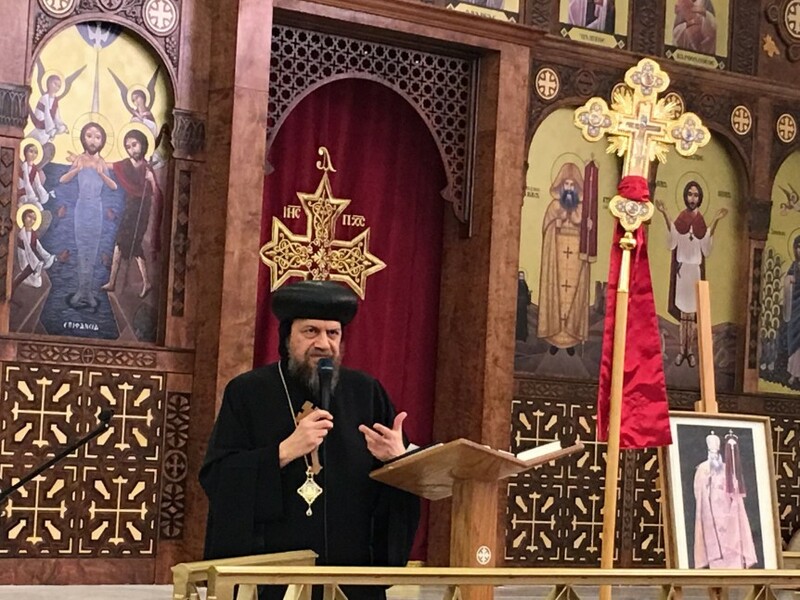 On Sunday, April 10, 2016, His Eminence Metropolitan Serapion addressed a group of servants from around the Southern Region of the Diocese (including Orange County, San Diego, and surrounding areas) at their bimonthly meeting. In addition, His Eminence candidly answered several questions on the service and modern issues, like heresies and ecumenism. The servants of the Southern Region meet regularly throughout the year to discuss issues relating to their service. God willing, the next meeting will be on June 26, 2016 at St. Paul American Coptic Orthodox Church around 3:00 p.m.